Democratic State Senator Jeff Danielson is resigning effective immediately from both the Iowa Senate and the Cedar Falls Fire Department, Starting Line has learned. That will trigger a special election for Danielson’s Cedar Falls-based Senate District 30 in the middle of this year’s legislative session and Iowa Caucus campaigning. The Cedar Falls Fire Department has seen a series of resignations in recent months over what one firefighter described as an unsafe and “hostile work environment” after the city decided to significantly restructure the department. Governor Kim Reynolds will have five days to schedule a special election date, which will need to be set at least 18 days out from then and on a Tuesday. 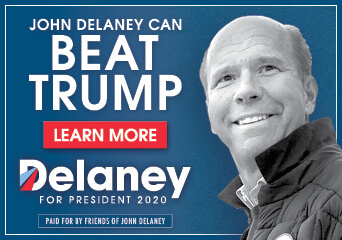 Whoever wins would then be up for reelection in 2020. 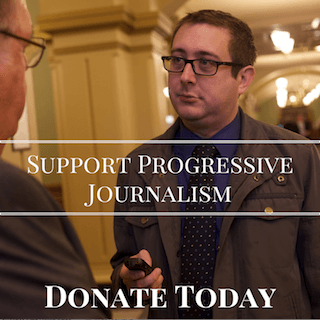 Danielson has served in the Iowa Senate since 2005, and held the role of Senate President Pro Temp for several years. A longtime firefighter with the city of Cedar Falls, he’s a Navy veteran who became known during his years in Iowa politics for pushing for more moderate, bipartisan policy solutions. 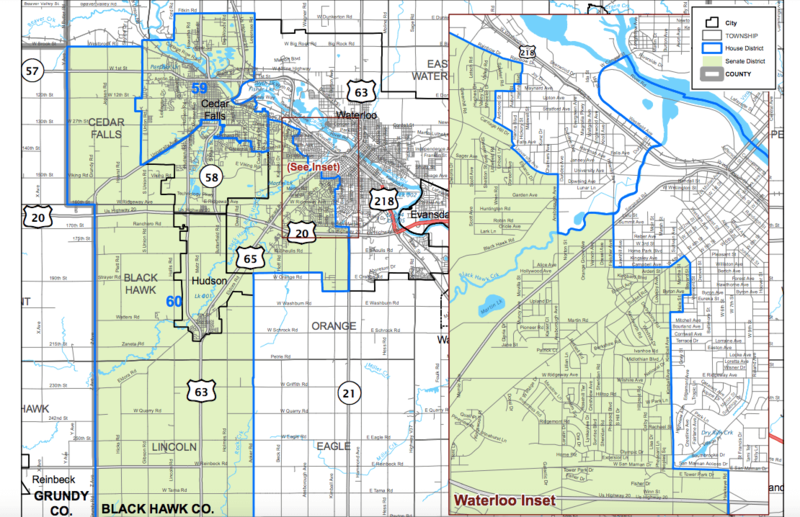 Danielson’s SD 30, which covers all of Cedar Falls and part of Waterloo, has long been a swing seat. It currently contains 13,333 registered Democrats, 12,488 registered Republicans, and 15,986 registered No Party voters. Several of Danielson’s earlier races here were exceedingly close; he won by 681 votes in 2012 and 22 votes in a slightly different district in 2008. However, the somewhat-suburban seat has been moving to the left in recent years. Democrat Fred Hubbell carried the district 53% to 45% in last year’s race for governor. Hillary Clinton carried it 48% to Donald Trump’s 45% in 2016, and Danielson won by a very comfortable 18 points in 2016. 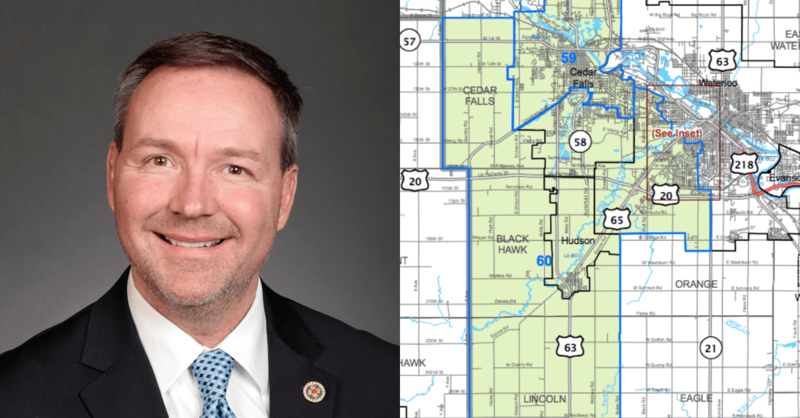 Democrats now control both of the house districts within SD 30 after Democrat Dave Williams defeated Republican incumbent Walt Rogers in a major upset in 2018. While losing an incumbent senator in a competitive seat isn’t ideal for Democrats, the timing for holding the district in a quick special election is good. The Democratic base is still riding high off of important wins in the area last year, and presidential candidates have already been drawing impressively large crowds in the state. Those 2020 Democrats will also most certainly pitch in to help, if for no other reason to show they’re committed to helping down-ballot Democrats get elected. It wouldn’t be surprising to see some of the presidential candidates even knocking doors in Cedar Falls and Waterloo over the next month (maybe even some of them doing so together). Both local parties will select their candidates in a special nominating convention. The strongest candidate Republicans could probably run would be Walt Rogers, who just lost his reelection to the Iowa House by a narrow margin last year. Until that defeat in a year where Democrats improved significantly in the suburbs, Rogers was a very strong incumbent Republican who often fended off tough challenges. However, Rogers will soon be nominated to the Iowa Public Employment Relations Board, Starting Line has also learned. That job comes with a nice paycheck, and would be difficult for Rogers to pass up. Also of note: the University of Northern Iowa’s spring break is scheduled for March 18 to 22. Given Republicans’ gamesmanship in the past on special election dates, it wouldn’t be surprising if Reynolds sets it around then to suppress the vote. WHAT conceivable connection do the two things have? Danielson should have explained this, and/or Starting Line should have asked it. As it is, this sounds rather too mysterious, without even one of those typically phony “I want to spend more time with my family” reasons/excuses. There will be another job announcement soon for him. 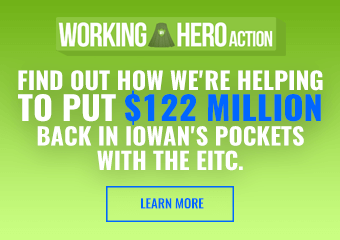 Essentially, there aren’t a lot of jobs that are flexible enough to let you spend 1/3 of the year in Des Moines for session. That is what’s happening here. I was initially, kind of with A L Hern. Why is his holding the Senate seat dependent on his position as a firefighter, as it seems he’s implying? On the face of it, it doesn’t make sense. But what you’re saying, then, Pat is that he intended to quit the fire dept, and finding a replacement job which would permit him to serve in the Senate is pretty much impossible? Unfortunately, that makes sense. In any case, I wish him well!